Recently, the International English Language Testing System (IELTS), modified its website to refer to Taiwan as “Taiwan, China”. Whilst the spokesperson for the Taiwan Ministry of Foreign Affairs condemned conceding to Beijing’s demands, this is only the most recent episode in western businesses giving in to Beijing’s policy of blackmailing international companies over the Taiwanese issue, by threatening to restrict their market in China. Similar tendencies can be spotted amongst hotels and airlines operating flights to Taiwan. The US has criticised Beijing’s tactics as “Orwellian”. Taiwan has criticised China for “barbaric intervention” after another international English proficiency test modified its website to fall into line with Beijing’s claims over the self-ruled island. The International English Language Testing System (IELTS) changed its reference to Taiwan on a drop down menu to “Taiwan, China” on Friday, according to Taiwan’s United Daily News. A Taiwan foreign affairs ministry spokesman expressed “strong discontent and condemnation” against the “barbaric intervention” of mainland Chinese authorities over civilian business activities and operation. In August 2018 the Test of English as a Foreign Language website changed the island’s reference to “Taiwan, China” triggering a protest by Taiwanese students. Foreign airlines, hoteliers and clothing brands have made similar adjustments to how they refer to Taiwan, caving to demands from Beijing and patriotic mainland Chinese citizens on social media. The spokesman said the ministry had restated Taiwan’s position to the Britain-based IELTS and demanded an “immediate correction”. 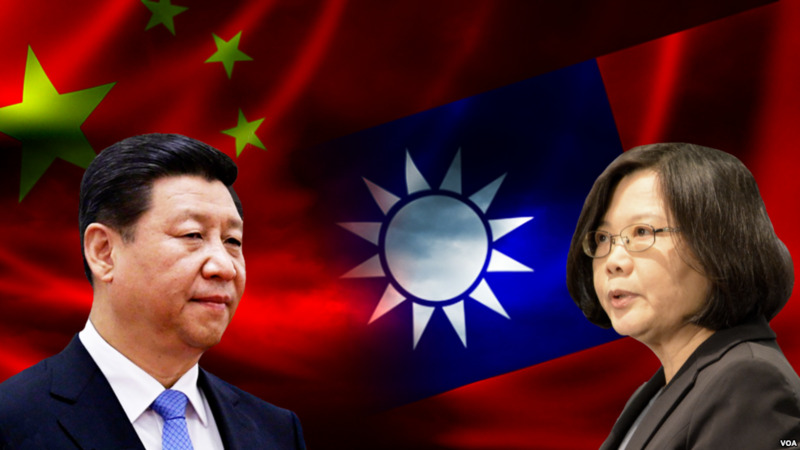 Beijing claims Taiwan as a renegade province that must one day be reunited with the mainland, and has condemned any actions that could be seen as de facto recognition of the Taipei government. In recent months, Beijing has escalated pressure on Taipei with military drills around the island, while pushing Taiwan’s remaining diplomatic allies to sever official ties. It has also demanded airlines refer to the self-ruled island as part of China, which the US criticised as an Orwellian measure. In a speech on Thursday, US Vice-President Mike Pence said China’s actions threatened the stability of the Taiwan Strait. He said the US always believed that Taiwan’s embrace of democracy showed a better path for all the Chinese people. Beijing has also offered economic sweeteners to lure Taiwanese talent and companies to the mainland, triggering concerns of a brain drain. The political tensions have spilled over into the business world, with companies fearing a backlash from nationalistic mainland consumers, who greatly outnumber those in Taiwan. More than 600,000 mainlanders opted to study abroad last year, compared with more than 60,000 from Taiwan, according to government figures in Beijing and Taipei respectively.